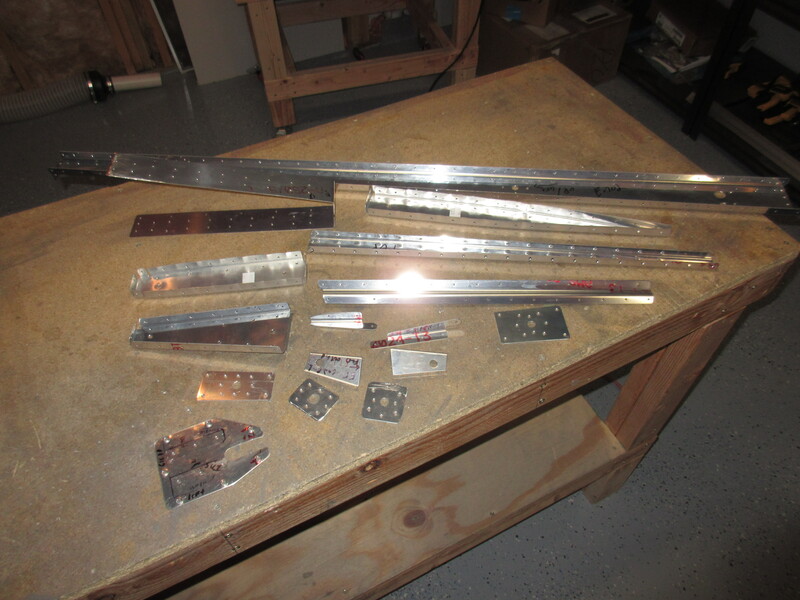 I got to do some pretty neat assembly work tonight, working with actual aircraft components, instead of just aluminum! 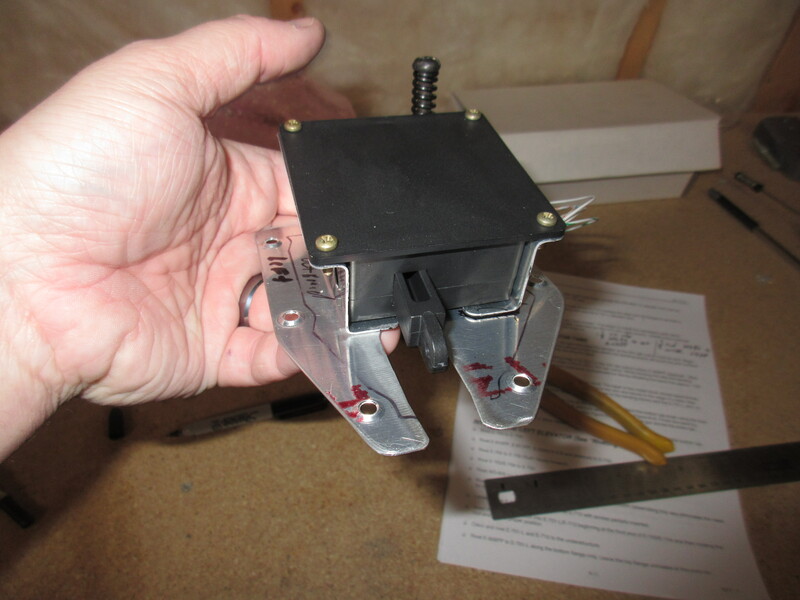 I worked on assembling the mounting brackets for the Ray Allan Electric Trim servo. I also deburred all of the metal parts for the left elevator skeleton. The work session started out by unboxing the electric trim servo. 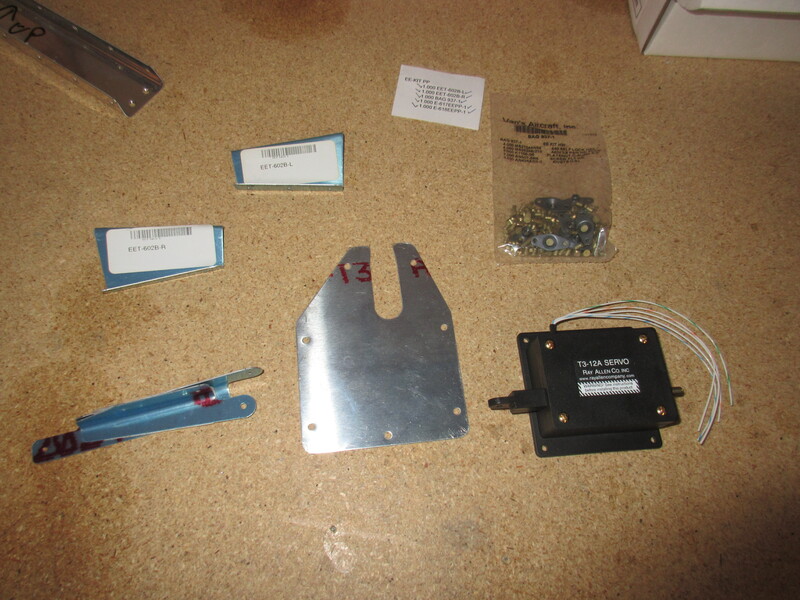 Van’s ships this assembly as an option for the RV-7, and they include all the mounting brackets, screws, nutplates, rivets and hardware thats needed to fully install it. Another testament to how well Van’s build their kits! 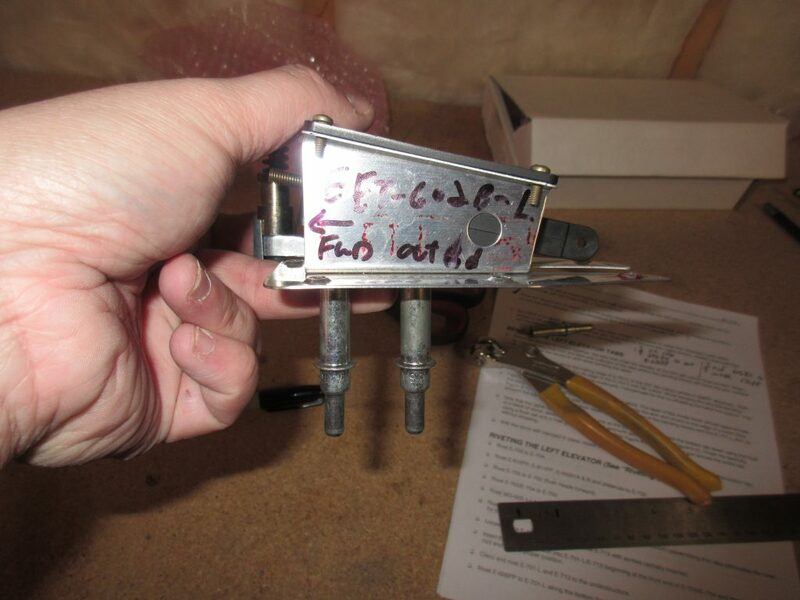 I started out by studying the plans to note the proper orientation of all the parts. There are quite a few custom bent brackets and they need to be lined up just right in order to drill the holes correctly. 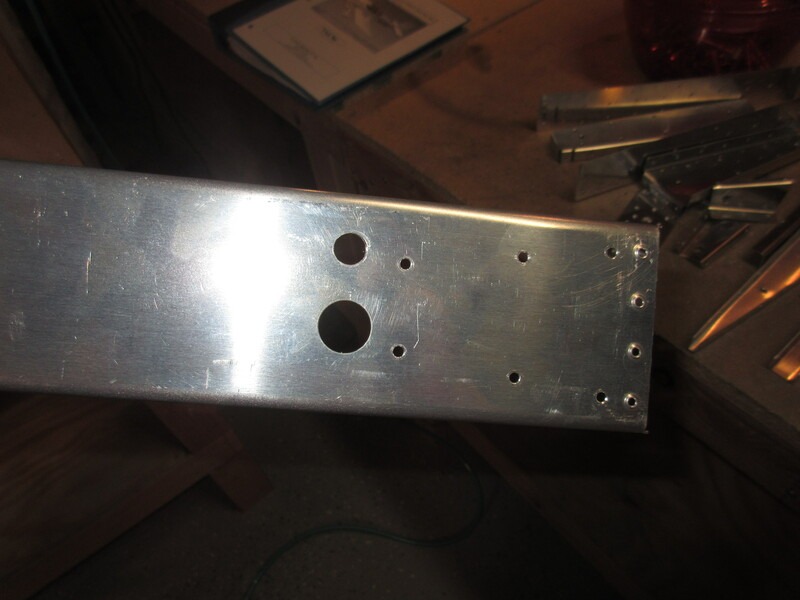 The plans gives us some measurements to place the EET-602B-L mounting bracket. I decided to mount the E-616PP cover plate to the skin so I could draw an outline of where the ribs and skin lay on the cover plate. This will keep me from mounting the brackets to close and causing interference, and I also made sure to notate the orientation of the plate in reference to the aircraft as well. 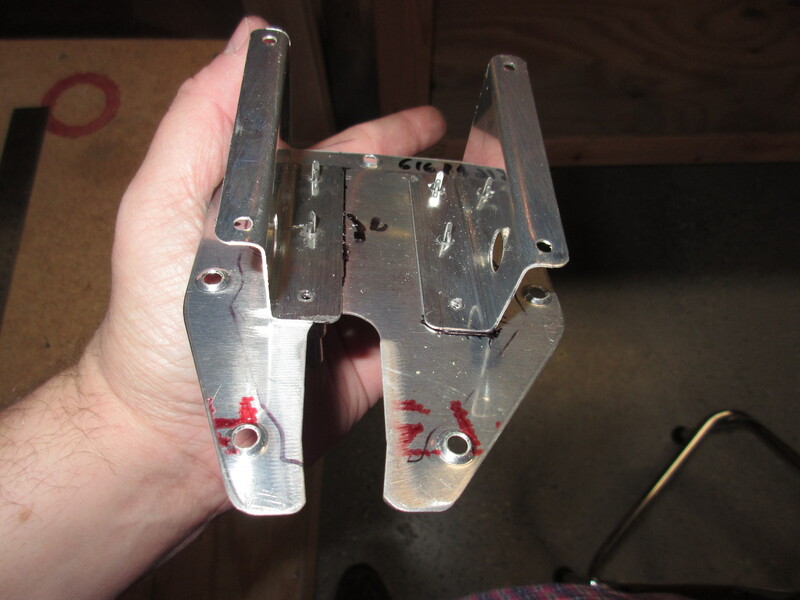 Once I had that all marked up, I used a straight edge to mark lines on where the plans tells us the forward edge and inboard edges of the EET-602B-L bracket. 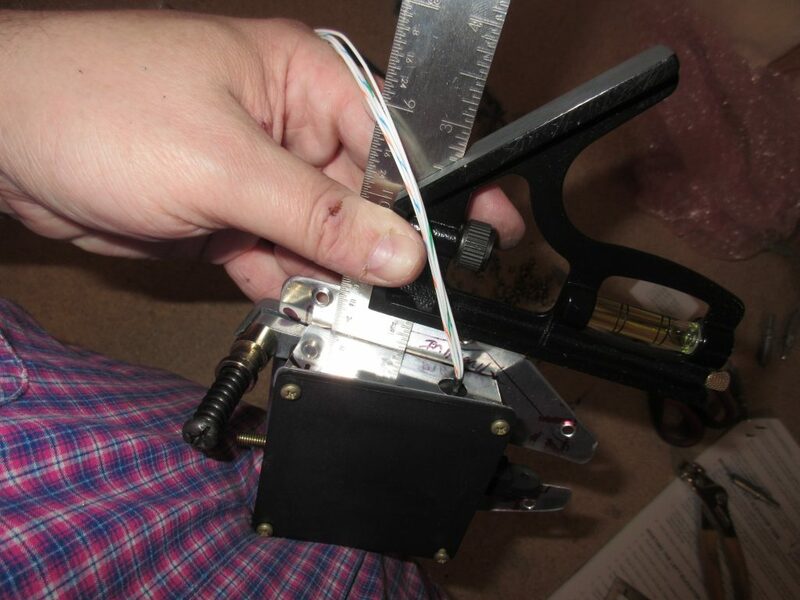 Then I placed the servo bracket on the plate, using my lines as a guide and clamped it on with cleco side clamps. Once I verified that the bracket was where it needed to be, I drilled the holes and attached it with normal clecos. Now that the hard one was done, I just stuck the servo in that bracket, and then placed the right side bracket and used the servo attaching bolts to hold it while I drew and measured its placement on the E-616PP plate. When I was happy it was in the right spot, I removed the trim servo and match drilled the holes into the E-616PP plate using the bracket as my guide. Stuck in some clecos, and made sure it all fit perfectly. Once that was all done, I decided to go ahead and deburr all the holes in my left elevator skeleton. I spent about an hour or so doing this, and got all the parts deburred and ready for dressing the edges. I will do that tomorrow night, and then these last few remaining parts will be ready for priming. Tagged Left Elevator, Electric Trim, Trim Tab. Bookmark the permalink.